For eons, man has had a deep and intrinsic connection with the ocean. The ocean spells tales of mystery and intrigue to the curious human mind. We also know that below the waves, there lies a completely different world and it warrants discovery. Now, you can have the ability to discover those underwater worlds with the Leopard Full Face Snorkeling Mask. Expertly crafted for optimal comfort and superb viewing pleasure, the Leopard was designed for exploration. This snorkeling mask was designed for your enjoyment and comfort. 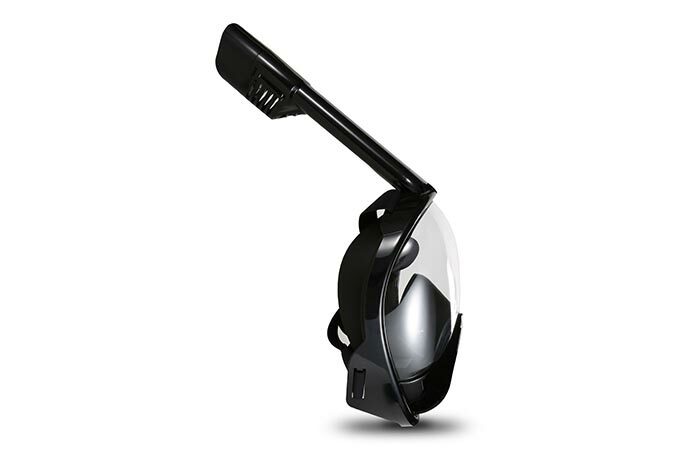 This snorkel comes with a 180-degree view range. This allows you to see so much more than traditional snorkels. Firstly, this mask features 180-degree range. This is perfect for people that are claustrophobic. It also enhances your experience because you can see so much more. In addition to this, because of its full-face design, the Leopard allows you to breathe naturally through your nose and your mouth. It doesn’t require a mouth-piece either. The Leopard has a silicone seal that makes it extremely comfortable. The nylon straps are also easily adjustable. Furthermore, it comes with an anti-leak dry top seal that prevents any water from entering the mask. However, in the event that some water does gain entrance, a one-way valve at the chin pushes water out of the mask. 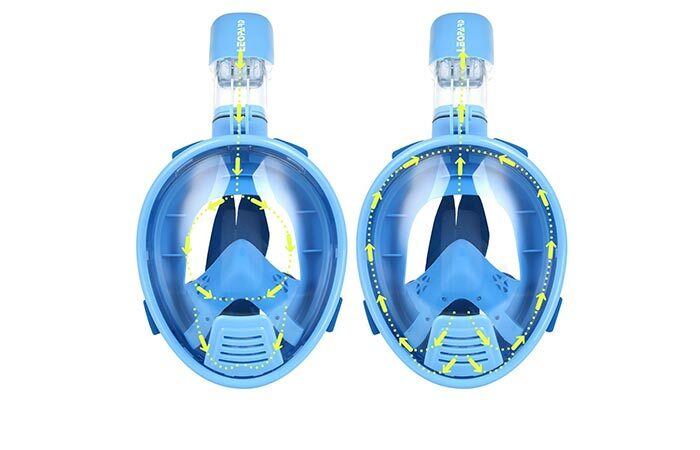 It also has a double air-flow system that ensures that your mask never becomes foggy. Air enters through the snorkel and gets pushed out via a separate chamber that filters out the air. 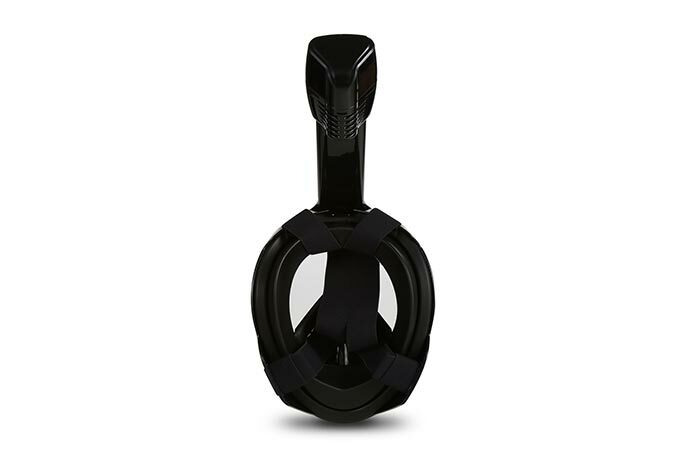 It also doesn’t compromise on comfort; this is due to the silicone face padding and easily adjustable nylon straps. This mask is available in a variety of colors. However, our favorites black and blue. The unique intake and exhaust system ensures that this mask will never fog up.